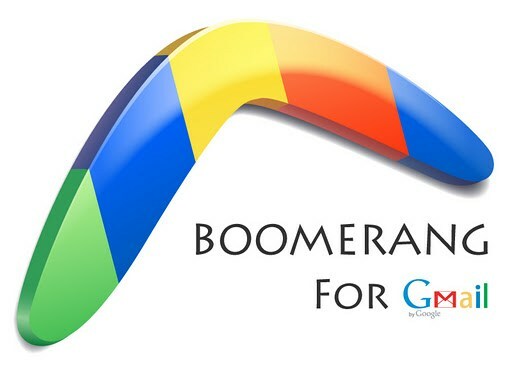 Gmail has introduced the Boomerang popular feature, ‘Send Later’ and it has made it convenient for you to schedule the email to be sent at any time you want. 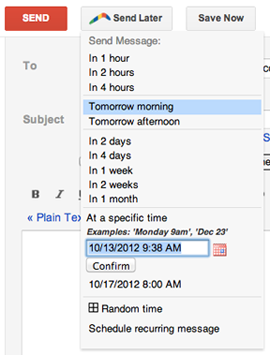 Now you can draft the email and schedule it to be sent automatically at the perfect time. You need to write the message as you normally do and click the Send Later button. When you install the Boomerang plugin, the ‘Send Later’ button will be appeared right in the compose window. You are compatible with gmail new compose. Now you used the handy calendar picker or the text box to understand the language like ‘next Monday’ to tell Boomerang, when you submit your message and we will receive it from there.